You are here: Home / Resources / ADHD / How Does Occupational Therapy Help with ADHD? 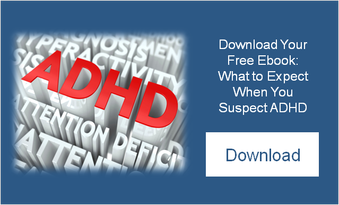 How Does Occupational Therapy Help with ADHD? It has been well documented that children with ADHD often struggle with maintaining focus in various areas of their day to day lives and consequently achieving their full potential. As Dr. Greg Stasi explains in his June blog, ADHD and Learning: Attention Deficit Hyperactivity Disorder’s Impact on Learning, children with ADHD often exhibit impulsivity or hyperactivity, difficulty with following directions, and poor executive functioning skills. The impact of these difficulties can be extensive on a child’s success in school, relationships, and overall self esteem. How does occupational therapy help a child with ADHD? Self-Regulation: This skill refers to an individual’s ability to Identify and adjust their level of alertness. Understanding your current ability to pay attention, be safe, and interact with others is something that often comes naturally to adults. When we are tired and trying to pay attention in a long meeting, many of us make a (sometimes subconscious) decision to increase our level of alertness by tapping our feet, drinking coffee, or chewing on a pen cap. For some children, including many of those with ADHD, it is difficult for them to develop this skill on their own and they need assistance to read their own bodies and choose appropriate strategies to help them focus. Executive Functioning: Children with ADHD often exhibit difficulty with executive functioning skills such as organization, initiation of and transition between tasks, problem solving, and time management. Occupational therapists work with children and their families to identify how these challenges are impacting their daily lives. These areas are then addressed in two ways; helping a child to directly build those skill sets and by working with the family to create routines that emphasize a child’s strengths. If you have concerns about your child’s ability to carry out self regulation or executive functioning skills, schedule an evaluation with one of our neuropsychologists or occupational therapists to develop the best course of action. https://nspt4kids.com/wp-content/uploads/2016/05/nspt_2-color-logo_noclaims.png 0 0 Shannon Phelan https://nspt4kids.com/wp-content/uploads/2016/05/nspt_2-color-logo_noclaims.png Shannon Phelan2013-10-31 07:39:202014-04-20 10:52:29How Does Occupational Therapy Help with ADHD?